As Bruce (David Mazouz) pulls the veil off the Court of Owls, he finds the man pulling the strings is the enigmatic and powerfulRa’s al Ghul. With his past shrouded in mystery, Ra’s al Ghul uses cunning and deception to lay waste to his foes. As the leader of an international criminal organization known as the League of Shadows, Ra’s al Ghul will prove himself to be Bruce’s most dangerous adversary yet. Siddig played Prince Doran Martell on HBO's hit show and has also appeared on Peaky Blinders, Da Vinci's Demons and Star Trek: Deep Space Nine. The Court of Owls storyline this season has the young Bruce Wayne ( David Mazouz) battling the mysterious organization bringing him closer to the leader of the League of Shadows. Siddig will first appear at the end of the current third season in a recurring role. Ra's al Ghul's name in Arabic translates to "The Demon's Head," and up until now, the character hasn't been played by a Middle-Eastern actor in live-action despite his origins in the Arabian Penisula. Liam Neeson (Irish) played the role in Chris Nolan's 'Batman Begins' and Matt Nable (Australian) had a recurring role on CW's 'Arrow.' 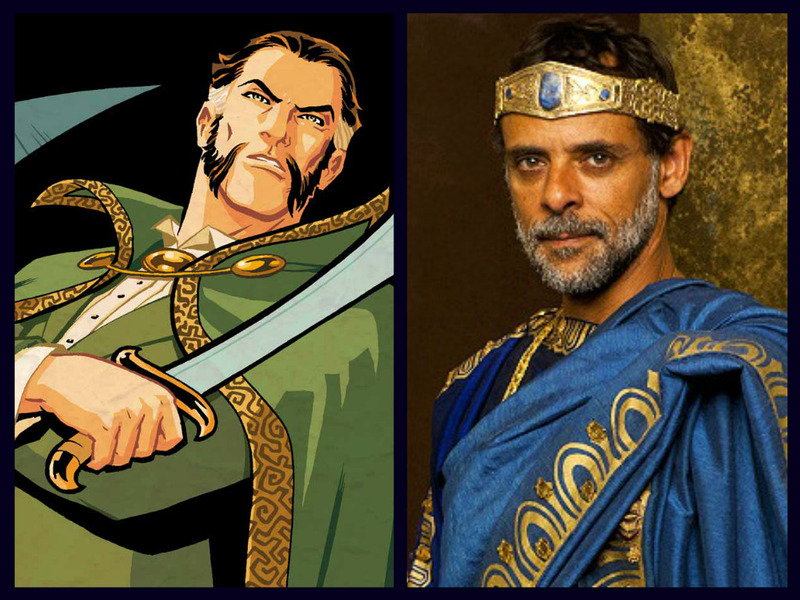 The English-Sudanese Siddig will be the first to come closest to al Ghul's origin. Gotham season 3 returns Monday, April 24.